HMRC Vat/Customs excise is normally not payable due to the labelled value of the goods. Yes, however, as this service does not offer online tracking we cannot guarantee delivery. Contact Customer Support for more details about this service. For urgent overnight shipments, please contact Customer Support for assistance. The postal service makes every effort to deliver ontime. Gastric Ulcer products once opened and exposed to air have a shelf life of 28 days. All Abler products have recommended use by date of 2 years. Our Product Catalog displays the current expiration date for each batch in store. Tablets, Paste and Granules have the same active ingredient- Equine Omeprazole. It is simply about your preferred method of administration and what suits your horse best. The granules are quick and easy to administer. Just sprinkle granules dry on to feed. For fussy eaters, mix with molasses or corn syrup, and then mix with food, apple, treats, or a mash. If you horse is a fussy, picky eater, administration by syringe - omeprazole as paste is best. AbPrazole and AbPrazole Plus Bulk Packs offer the convenience of 50 single sachets of omeprazole granules in one bulk pack. 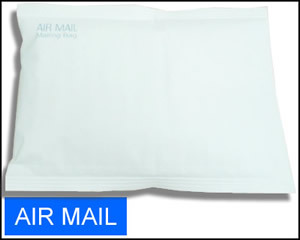 Bulk packs contain a scoop which accurately measures dosage equal to 1 single sachet of omeprazole granules. You know your horse better than we do. It comes down to the preferred and most effective administration for your horse. 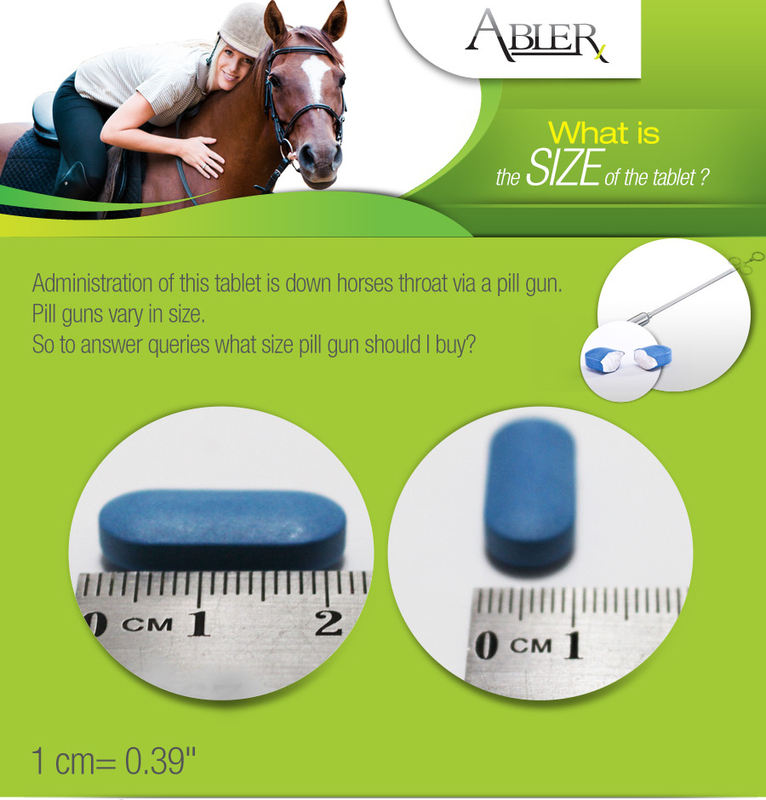 Tablets are more difficult to administer - to avoid the horse chewing the tablet best to administer via balling or pill gun directly down the horses throat. Oral paste – Syringe – oral paste administered by the mouth. Granules- If your horse is not off its feed, top dress/sprinkle granules dry to horses daily feed. Bulk Savings - Abgard Stable Pack oral paste may be the best solution – up to 5 daily treatment doses per syringe per horse. Cost per day – our Gastric ulcer treatments cater to every Horse Owners budget, whether it be Oral paste, Granules or Tablets. When administering tablets to a horse sometimes the horse may break or crush the tablet hence you can tend to use more tablets to ensure the correct dose is received. Therefore the cost is less for the tablets. The production costs for tablets is far less than granules or paste. An enteric coating is a barrier applied to oral medication that controls the location in the digestive system where it is absorbed. Enteric refers to the small intestine; therefore enteric coatings prevent release of medication before it reaches the small intestine. Most enteric coatings work by presenting a surface that is stable at the highly acidic pH found in the stomach, but breaks down rapidly at a less acidic (relatively more basic) pH. As Omeprazole is acid-unstable, it must have an enteric coating added to the formulation to avoid the stomach's acidic exposure, delivering the Omeprazole instead to a basic pH environment (intestine's pH 5.5 and above) where it renders the desired action. For example, the enteric coating will not dissolve in the acidic juices of the stomach (pH ~3), but it will in the higher pH (above pH 5.5) environment present in the small intestine. The enteric coating is designed to be stable in the acid media of the horses’ stomach but dissolves readily in neutral media of the intestine, where it is absorbed into the blood stream. What is enteric coating made of? Materials used for enteric coatings include fatty acids, waxes, and various cellulose polymers. Our products use a sophisticated Methacrylic acid copolymer dispersion. Each Product Fact Sheet displays the percentage and amount of omeprazole in each gastric ulcer product by Abler. Once a day administration with morning or evening feed. Abler offers several methods of payment. Contact Customer Support for more details about Payment Methods. Your e-mail address must be confirmed before logging in to our store. Once you have created a new account, we will have sent you a verification email to the email address you used to create the account. To confirm the e-mail and instantly log in, please, click on the confirmation link in that email. The link is valid only once. If you can’t find the email in your inbox, try looking in your spam or junk folder. Account confirmation is required. Please, check your email for the confirmation link. If you cannot find the email in your inbox, try looking in your spam or junk folder. To resend the confirmation email please click here. Your e-mail (YOUR EMAIL ADDRESS) must be confirmed before using it to log in to our store. To confirm the e-mail and instantly log in, please, use this confirmation link. This link is valid only once. So once you find the email click on the underlined link that reads this confirmation link. A Captcha is a program that protects websites against bots by generating and grading tests that humans can pass but current computer programs cannot. For example, humans can read distorted text, but current computer programs can’t and therefore reduces the risks of your computer being hacked. We know this can sometimes be a frustrating exercise but it protects both you and us from bots. Remember you can always select a new captcha if you are having difficulty reading the one generated for you.